Description of The Trousers Rack: Wardrobe Bedroom Trousers Rack with Aluminum Pull Out Frame for Wardrobe, available from 550 mm to 1050mm Width Wardrobe, espiallly for 600mm, 800mm, 900mm Width Wardrobe . Slide: 450mm(17-7/10") Three-Section Ball Bearing Slide , and Soft closing Ball Slide Silent , Taiwan KIing Slide slid is optional . Trousers Rack:Removable non-slip Rail, ”O” Type round on the Rail keeps the trousers anti-slip. 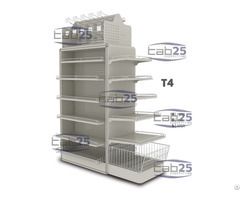 • Aluminum Frame: Pull out 465mm (18-3/10") Depth Silver Epoxy Frame; width of the frame is adjustable 100mm. ABS Spacer: 23.5mm(9/10") ABS silver power coated Space which is used to connected interior wardrobe and slide, make sure the Trousers Rack were installed in hinged or sliding door. 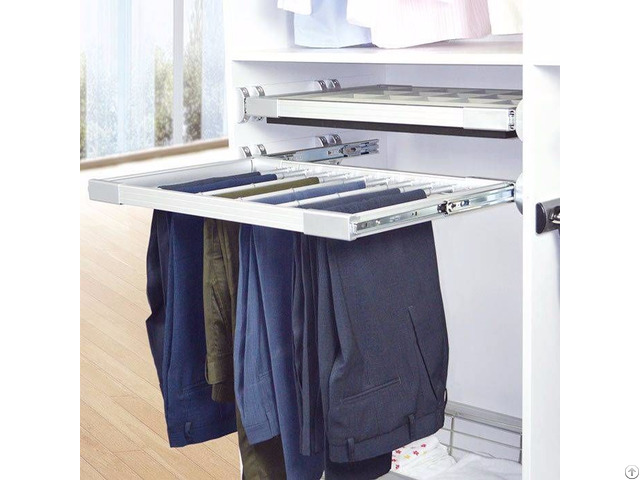 Advantage of The Trousers Rack: Anti-slip rail, easily removable , easily clean up. The Trousers Rack is designed for use in the wardrobe to keep pants , trousers. Adjustable Pull out frame Trousers Rack, smoothly gliding shelves make storage easy and durable construction enables years of comfortable storage. Trousers Rack as ideal wardrobe accessories for closets and wardrobes with hinged or sliding door, matchingthe structure of the wardrobes; coming with hinges and soft closing mechanism.